Over the past week we've learned of two recent H5N6 infections in Guangdong Province, China (see Guangdong Province Reports 2nd H5N6 Case In A Week). H5N6 is one of the new reassortants of H5N1 that have appeared over the past couple of years, showing up almost simultaneously in Laos and Southern China in the spring of 2014, and moving into Vietnam later that year. While the number of human infections reported has been small (n=6), and limited to China, those who have been identified as being infected have experienced severe illness, often with fatal outcomes. The report of two, geographically separated cases within the same week in Guangdong province suggests the virus is becoming better established in poultry. Today the World Health Organization published the following update. Between 30 December 2015 and 2 January 2016, the National Health and Family Planning Commission (NHFPC) of China notified WHO of 2 additional laboratory-confirmed cases of human infection with avian influenza A(H5N6) virus. The first case is a 26-year-old female from Baoan District, Shenzhen City, with onset date of 24 December. The patient was admitted to hospital on 27 December and is now in critical condition. The second case is a 40-year-old female from Duanzhou District, Zhaoqing City, with onset date of 22 December. The patient was admitted to hospital on 28 December and is now in critical condition. 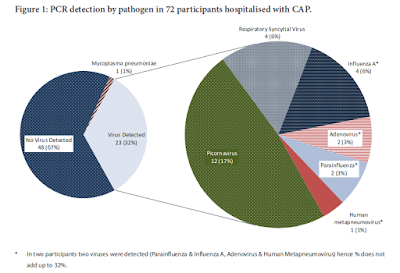 strengthening surveillance of unexplained pneumonia and routine sentinel surveillance of influenza; strengthening the etiological surveillance of influenza/avian influenza virus. WHO continues to closely monitor the influenza A(H5N6) situation and conduct risk assessments. So far, the overall risk associated with avian influenza A(H5N6) viruses has not changed. Fourteen months ago we saw an FAO-EMPRES Report On The Emergence And Threat Of H5N6, with our first detailed look at the virus, along with a short list of other newly emerged HPAI H5 viruses (including H5N8 & H5N3). Briefly a rising star, H5N6 was soon relegated to the back burner when H5N8 (and its reassortant progeny) abruptly turned up in Europe, Taiwan, and North America and H5N1 began its unprecedented mini-epidemic in Egypt last spring.